IT’S a week after the July 30 elections and with tensions having simmered down a bit, it’s time for some introspection and a post-mortem of the elections. 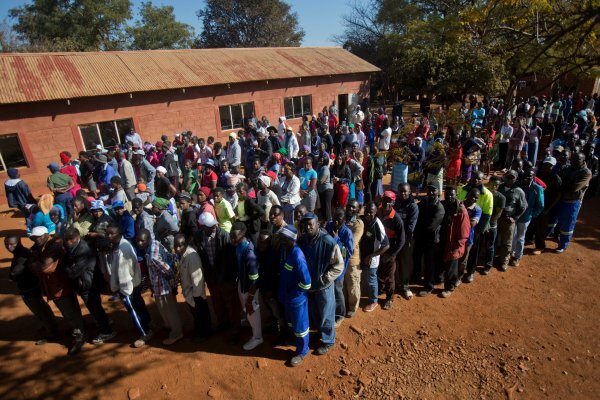 Both the Zimbabwe Electoral Commission (Zec) and political parties were mistaken in their belief that the agents of presidential candidates must verify all forms with the chief elections officer (CEO) before a winner is declared. The section governing the determination of a presidential candidate is s110 of the Electoral Act. In terms of s110, the results are constituency-based such that votes at a polling station are added in a constituency by the constituency election officer. This is done in the presence of observers, candidates or their agents. The constituency return should then be completed and signed (note that the signing is not mandatory, but an offer for agents to sign must be made). A copy of this is sent to the CEO while another copy of the constituency returns is placed outside the constituency centre. The CEO will then give reasonable notice to each candidate or their agents of the time and place where the various constituency results will be verified which should be immediately after the return has been received. The verification is not done by the parties, they merely observe the process. All Zec must do in this regard is send a notice indicating the time and place where this should be done. The agents then merely observe the process. They do not verify anything, nor do they sign anything at this stage. After verification and in the presence of the candidates or their agents and observers, the constituency returns must then be shown to those present. A request by the agents or candidates to make notes of the returns can be made at this stage. The votes are then added by constituency in the presence of the agents or candidate and observers and after this, the election results are announced. The claim that results were delayed because some party agents did not want to verify the results is, therefore, unfortunately not true. Similarly, those alleging that they did not sign or verify the results with the CEO and thus the results are invalid, are mistaken. All Zec had to do after receiving constituency returns was to give reasonable notice to the agents. There was no signing or verification to be concluded by the agents. Unfortunately, this misinformation has led to some people claiming that Zec was not following the law and vital processes were skipped. While Zec may have misunderstood s110, it did not act unlawfully by verifying the votes themselves provided notice to agents was given. Agents were required to do nothing more except to be present at that stage. For the presidential election, s110 (3) (h) accords Zec five days from the date of polling to release results. If parties felt this period was too long, then they should have insisted that this provision of the Electoral Act be amended before the election. Zec was well within the prescribed time. It is immaterial that the 2013 election had a shorter period for the release of results. The law prescribes the maximum period as five days. Unfortunately, the hype created about the delays was not based on law, but emotions. While it is understandable that the results be released as soon as possible, it was premature for parties to call on their supporters to protest for the results to be released. It was also premature for claims of an unreasonable delay to be made because the five days had not lapsed. It is regrettable that parties chose to mislead the citizenry on what the law says. It is generally common cause that Parliament dissolves before the election, but that is not necessarily true of Cabinet. In an interesting question and answer session with Home Affairs minister Mpofu last week, a Zimbabwean journalist asked why he was addressing the Press as a minister since Cabinet was dissolved. In terms of our Constitution, Parliament dissolves at midnight on the day before the elections per s 144. Cabinet, however, remains in office during and after elections. The Cabinet ceases to exist automatically upon the assumption of office by a new President as per section 108 of the Constitution. Some people might be confused because ministers are also MPs so the question most ask is why the dissolution of Parliament does not affect the Cabinet. This is clarified by section 108 (4) which specifically states that despite the dissolution of Parliament, ministers and their deputies remain in office until the President-elect assumes office. There is, therefore, no gap in Cabinet currently contrary to some Press reports. There has been confusion on this part and this seems to have been buttressed by the President in his Press conference of August 3 where he stated he could not do anything until he is sworn-in because he is the President-elect only. This is not true. While the President is right to call himself the President-elect, he is currently the serving President in terms of section 94(2). This section states that the incumbent (President Mnangagwa in this case), remains in office until the assumption of office by the President-elect. The mandate of his predecessor, former President Robert Mugabe, constitutionally ends on the day of the inauguration. Mnangagwa was completing Mugabe’s term and will only assume the mandate under a new term on the date of the inauguration. In simple terms, he is both the incumbent President and the President-elect. Executive power can still be exercised by Mnangagwa and he remains the Commander-in-Chief of the Defence Forces. With the deployment of the military to assist the police in crowd control, questions around the deployment of the forces took centre stage. Who can lawfully deploy the forces? Mpofu who is Home Affairs minister together with the Zimbabwe Republic Police alluded to the deployment being done in terms of section 37 of the Public Order and Security Act (Posa). In terms of this section, a request is made by the Commissioner of Police to the minister requiring the assistance of the defence forces for the purpose of “suppressing any civil commotion or disturbance”. The Defence minister must then authorise the deployment. This sequence of events is corroborated by the presser held by the police commissioner and the Home Affairs minister. If indeed, Posa was applied, then there are three parties involved in that decision to deploy: Mpofu, Police Commissioner-General Godwin Matanga and Defence minister Vice-President Constantino Chiwenga (although this too is unconstitutional as I have argued elsewhere). The President would not necessarily be involved in the deployment in terms of Posa. Importantly, however, when the army is deployed here, they serve under police command and not under military, which means they are seconded to the police for this purpose. Contrary to the comments made by the Commissioner-General, they do not work alongside or have a joint operation, they are subsumed by the ZRP albeit temporarily. In terms of Posa, any commands originate from the police which would make the Commissioner-General of police, the commanding authority of those soldiers, and not the usual military structures. This provision is, however, unconstitutional like most of Posa. This is because the Constitution which is superior to any act or law, allows only the President as Commander-in-Chief of the Defence Forces, to deploy the soldiers internally. The correct position is that the President is the only authority with the constitutional mandate to deploy the military to assist police with law and order matters as per section 213(1) (a) and section 213 (2) (b) of the Constitution. Section 214 of the Constitution compels the President to inform Parliament of the reasons for deploying the milliatry internally, but because Parliament was dissolved, this provision is suspended. It is a fatal error of law that the government still believes the army can be deployed using Posa because even though the Act has not been repealed by Parliament, it is superseded and subservient to section 213 due to the principle of constitutional supremacy. Section 37 of Posa must yield to section 213 of the Constitution. The deployment must have been authorised by the President for it to be constitutional. Mpofu’s admission that the deployment was done through him is, therefore, a confession of an unconstitutional deployment. Unless the President authorises the deployment, the continued deployment of the military remains unconstitutional. While he avoided answering who specifically authorised the deployment, the President seemingly then delegated his power to the Home Affairs minister by allowing the deployment to be done by him. That delegation would also be unlawful because deployment is part of the President’s executive powers which he must, as Commander-in-Chief exercise personally per section 110 (2) (g) and section 110 (6) of the Constitution. In terms of section 94 of the Constitution, the President only assumes office when he takes the oath of President. There are two dates possible for this. The first is on the ninth day after the declaration of the election of the President and the second is within 48 hours after the Constitutional Court (Concourt) determines who the winner of the election is. When asked when the inauguration would be, Mnangagwa told journalists that he would be able to choose the date nine days after the declaration by Zec. Unfortunately, he is mistaken. The President does not have a discretion on the date. The wording of section 94(1)(a) is clear, it must be done on the ninth day − not after nine days. If he declares a date after the ninth day, this date would be unlawful. If the MDC Alliance challenges the validity of the election in the Constitutional Court, section 94 suggests that no inauguration can take place until the ConCourt has adjudicated the electoral petition. Therefore, the section gives two dates – the nine days would be in the case of no challenge made to the election but the 48 hours after the ConCourt challenge arises where there is a petition. Because there is a challenge, the inauguration cannot take place in the week of August 6…just saying!